Taste delicious barbeque and grilled foods prepared with local sauces, rubs, and marinades. From Riesling to Cabernet Franc, discover how well cool climate wines pair with mouth-watering barbecue and summer side dishes! Early summer is a beautiful time to visit Keuka Lake and enjoy each of our wineries' spectacular views. 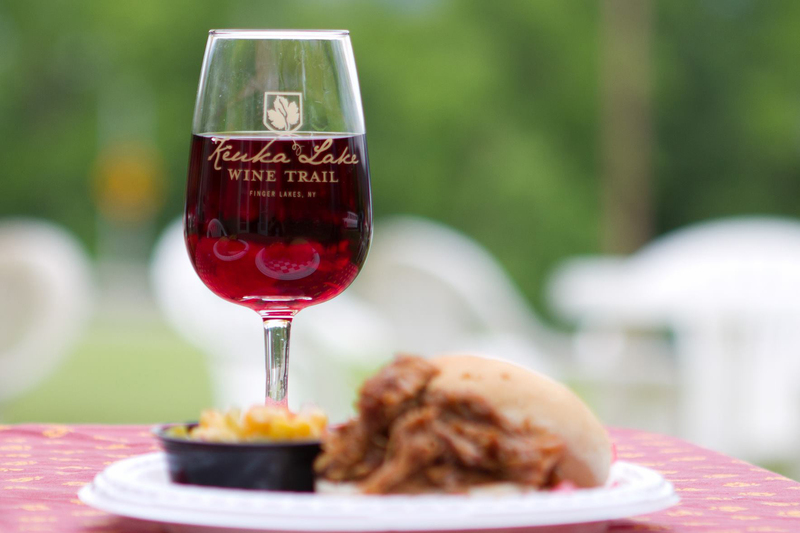 At your starting winery, you will receive a complimentary Keuka Lake Wine Trail wine glass. Then at each winery, taste four delicious wines and savor samples of hearty foods chosen to highlight the quality of our wines and the passion and skills of our people. 20 wine samples and more than a dozen food samples ... an unbeatable value and the perfect weekend getaway!